Port of London Authority (PLA) has issued a statement confirming the death of one of its pilots Wednesday night around 6.10pm. 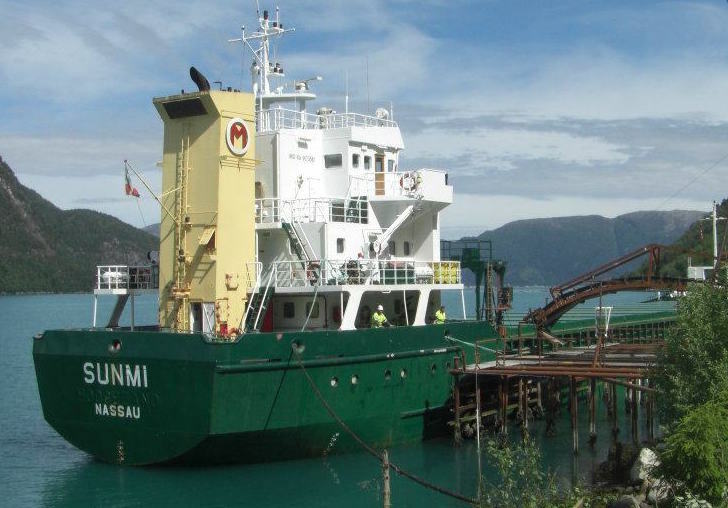 The pilot was involved in an accident in Gravesend Reach while boarding 1993-built general cargo ship Sunmi (pictured) operated by Norwegian firm Misje Rederi. PLA said that the teams on duty, emergency services and the Royal National Lifeboat Institution all attended the scene and did all they could to save the pilot, but the pilot passed away. The United Kingdom Maritime Pilots’ Association identified the pilot as Gordon Coates. PLA has started investigations into the accident, which will also be investigated by the Marine Accident Investigation Branch. Pilot association IMPA is currently conducting a two-week safety campaign to report back to IMO on pilot experiences of ladders and the state of boarding equipment. Campaign information and a survey can be accessed here.